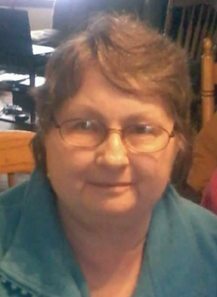 Ruth E. Jackson, 71, of North Warren, died Tuesday, Oct. 10, 2017, at UPMC Hamot Medical Center in Erie, Pa.
Ruth was born June 19, 1946, in Warren, Pa., the daughter of the late Lawrence and Edna (MuGukin) Johnson. Ruth was a graduate of Warren Area High School. She attended Edinboro University where she obtained a degree in Nursing. She had also attended Jamestown Community College with a concentration in Arts and Nursing. Ruth was employed at the Warren State Hospital as a Psychiatric Aide. An incredible artist, Ruth had painted the Israel Building at the State Hospital for the holidays for several years. She was a member of the Warren Alliance Church; and loved playing the organ at many churches in town. She also enjoyed spending time with her family and many friends. She is survived by two sons: Timothy Jackson and wife, Robin, of Wetumpka, AL, and William Bryan Jackson, and fiance, Kira of Bemus Point, N.Y.; two siblings: Edith McKillip and husband, Jim of Jamestown, N.Y., and James Ryder and wife, Ina of Elyra, OH; six grandchildren; one sister-in-law, Darlene McNutt Ramsey of Pittsburgh, Pa.; and many nieces and nephews. In addition to her parents, she was preceded in death by her infant son, Michael Johnson; brothers: Kenneth Ramsey, Carl F. Johnson, Lawrence “Bud” Johnson and John Johnson; infant brother, William E. Johnson; sisters: Joan Morley, Jane O. Johnson, Irene I. Johnson, and Betty A. Johnson. Friends will be received at the Peterson – Blick Funeral Home, Inc, 1003 Penn Ave., E., Warren, on Friday, Oct. 13, from 10 a.m. to noon, at which time a funeral will be held there with the Rev. Douglas McCracken, pastor, officiating. Burial will be in Westview Cemetery. In lieu of flowers, those wishing to make a memorial contribution should consider the Warren Alliance Church. E-condolences may be sent by visiting www.petersonblickfuneralhome.com.